A thrilling Regency Romance from a master of the genre! For fans of Georgette Heyer, Mary Balogh, Jane Aiken Hodge and Jane Austen. Could a mysterious stranger be the answer to Diana’s prayers…? After the death of Sir Peter Chalfont his daughter, Diana, and her mother were left nearly penniless and at the mercy of their relative Sir Sidney, who inherited the Chalfont estate. Sir Sidney had no plans to retire to the countryside from his frivolous life in London and the women were allowed to remain at Chesdene Manor. But with no money for upkeep, the grand building soon fell into disrepair. Intelligent and headstrong, Diana is determined to take her future into her own hands. She advertises for a tenant in the hope of supplying herself with an income. But who is the strange man who agrees to the lease? Why does he seem to have a particular interest in the building? And how long can Diana keep her home before the rakish Sir Sidney returns to claim it…? 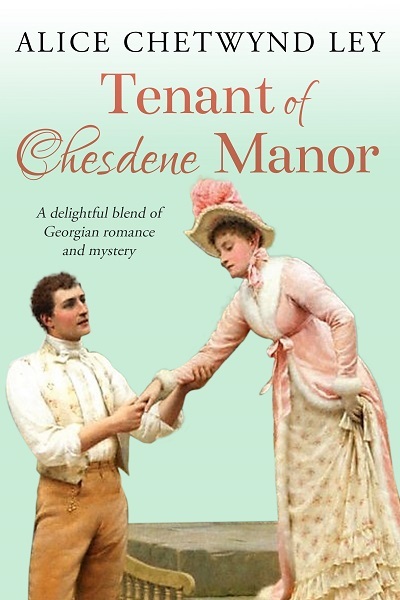 Tenant of Chesdene Manor is a classic Regency Romance by Alice Chetwynd Ley: a historical adventure story with a twist of suspense and mystery, set during the Napoleonic Wars.